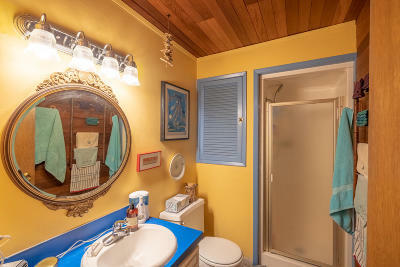 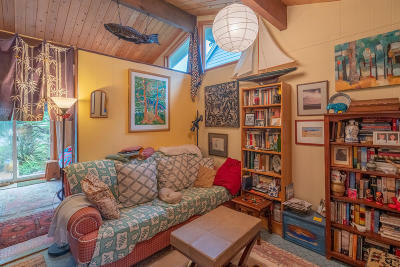 Unique and Beautiful 2 Bedroom, 1.5 Bath Cottage style home, that will bring the feeling of a Private getaway - Year Round! Tons of Natural light brought in by the lovely over sized Bay Windows, sliding glass doors and Cedar & Oak exposed beam Vaulted ceilings! 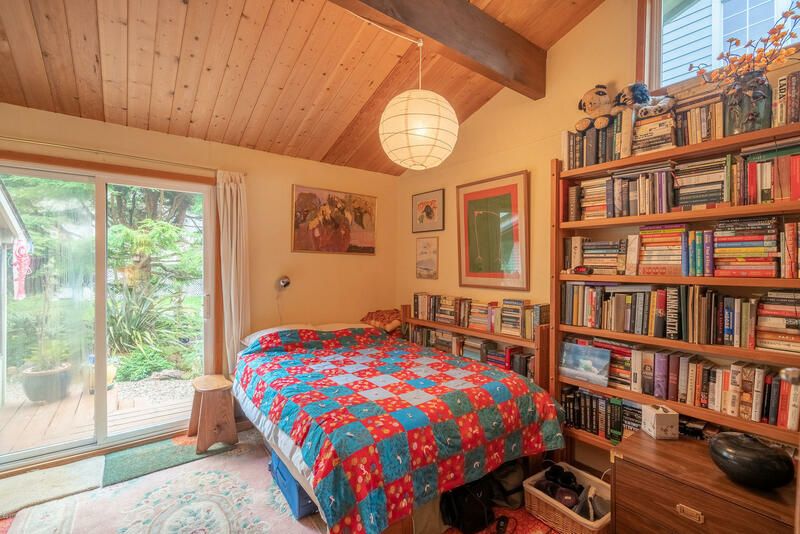 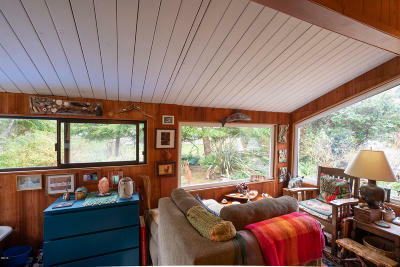 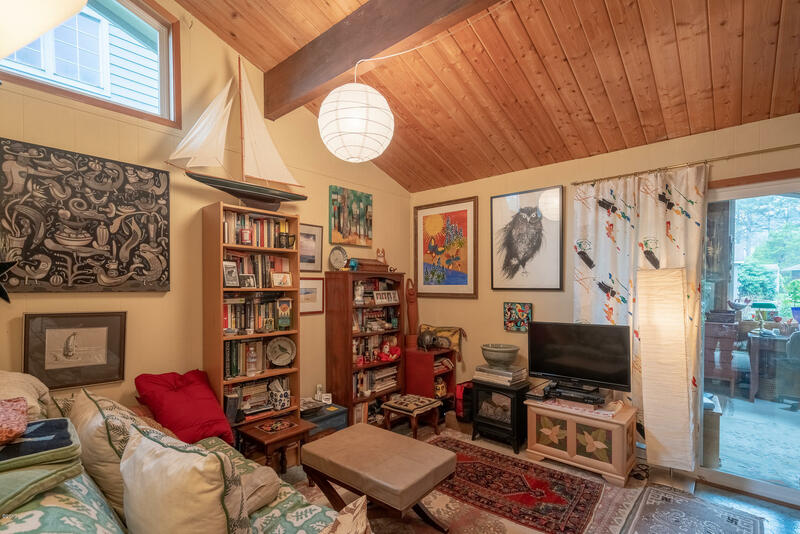 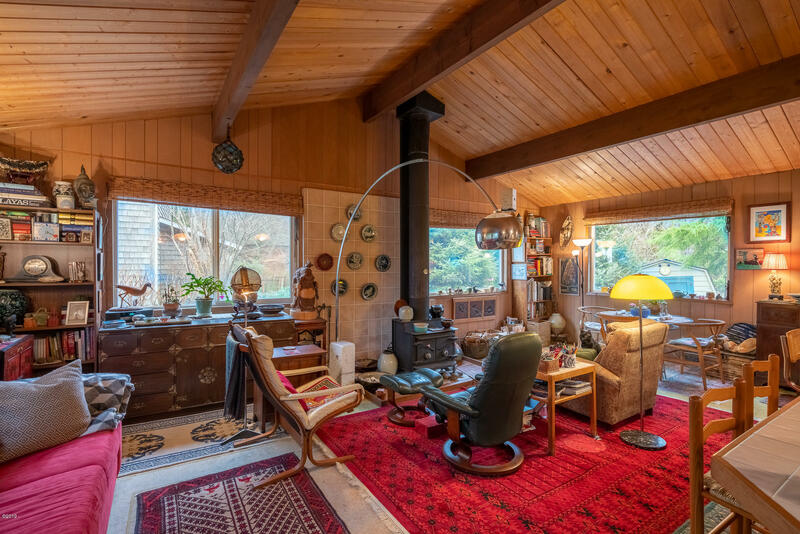 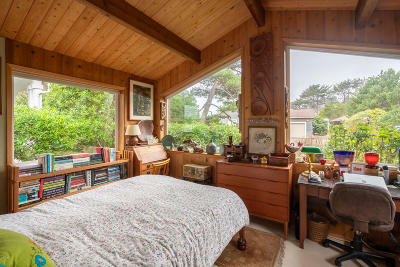 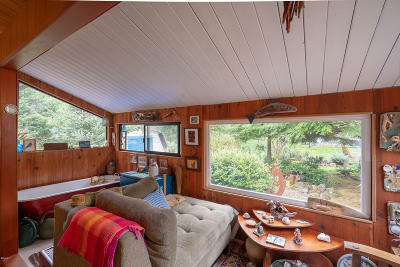 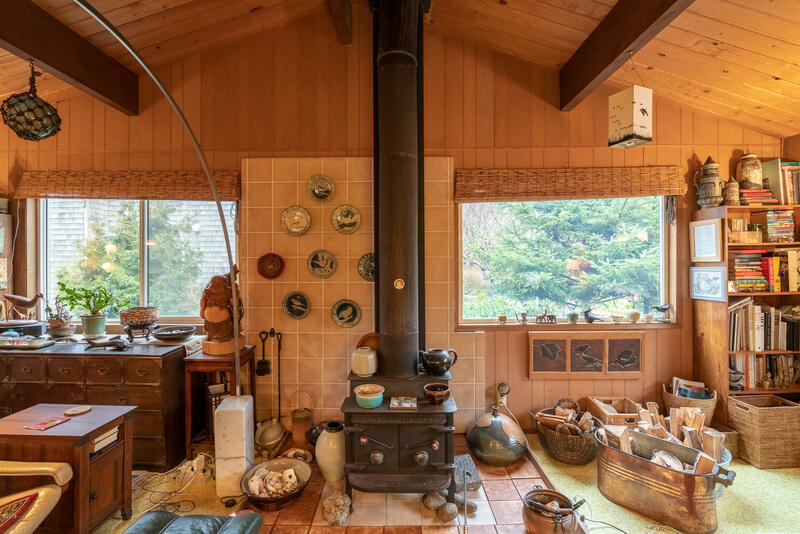 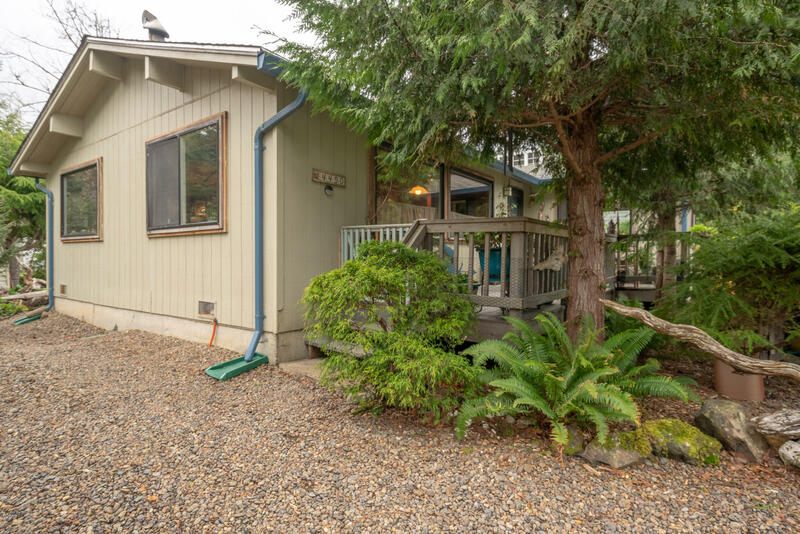 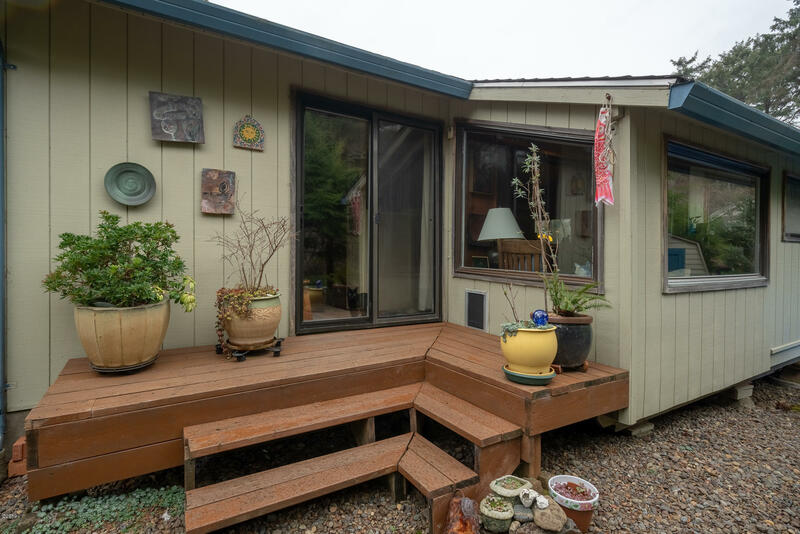 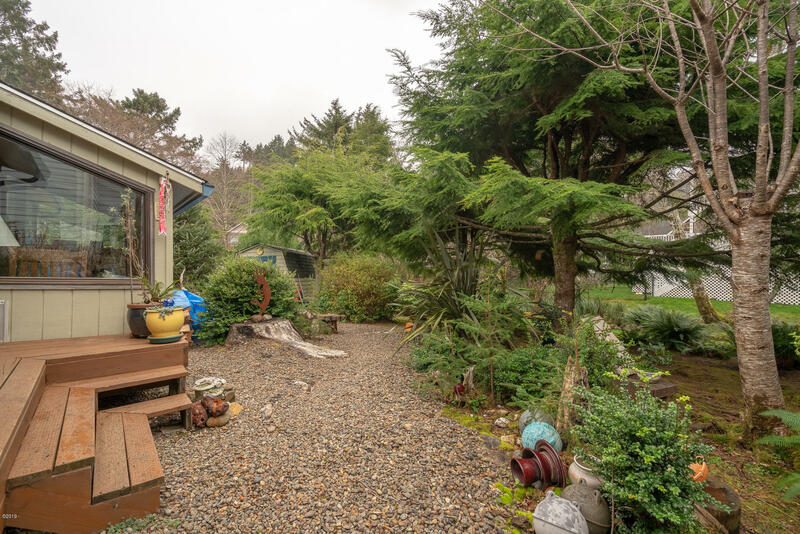 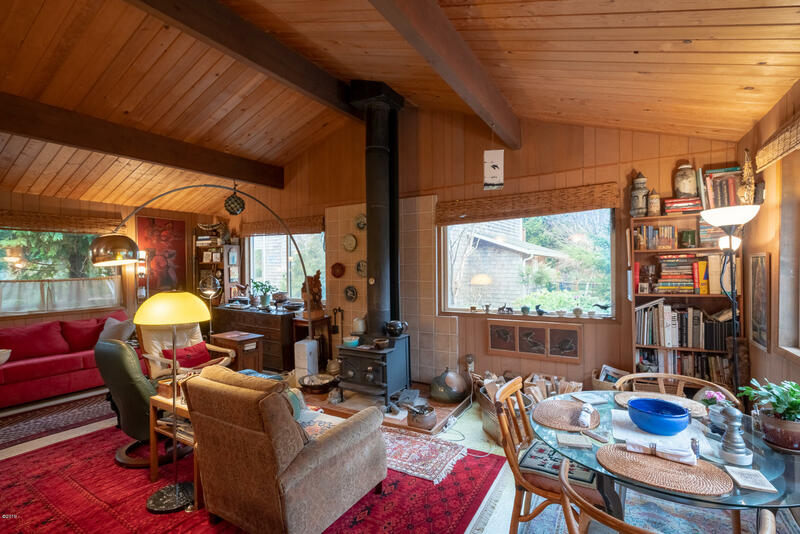 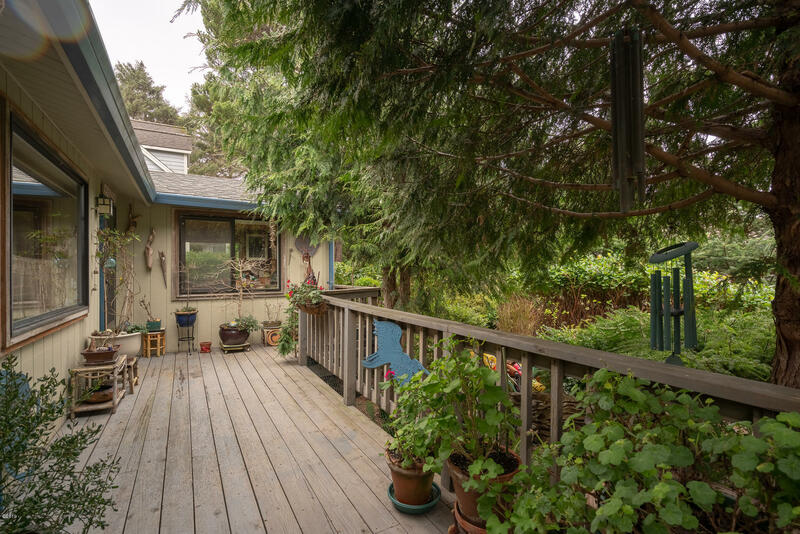 Relax near the wood stove, while enjoying the peaceful and expansive Forest and Mountain views along the Pacific Oregon Coast! 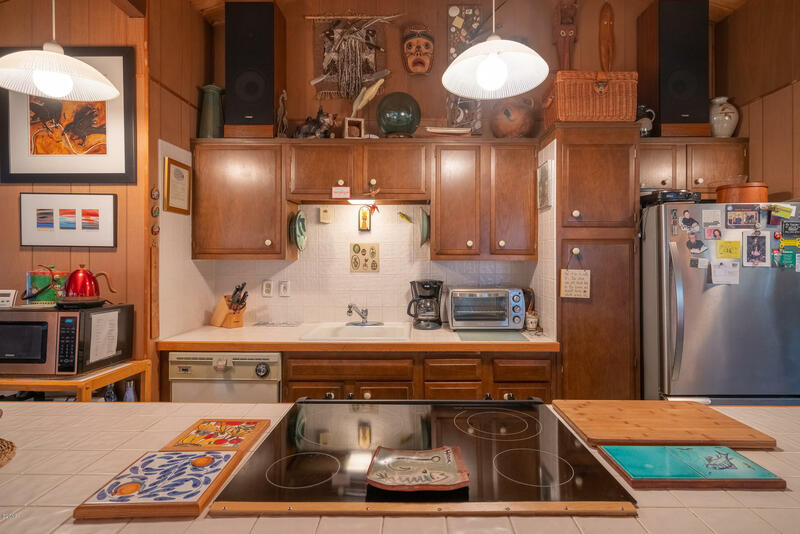 ONE-LEVEL with Open Concept Living and Kitchen areas, along with an exceptional amount of storage and closet space. 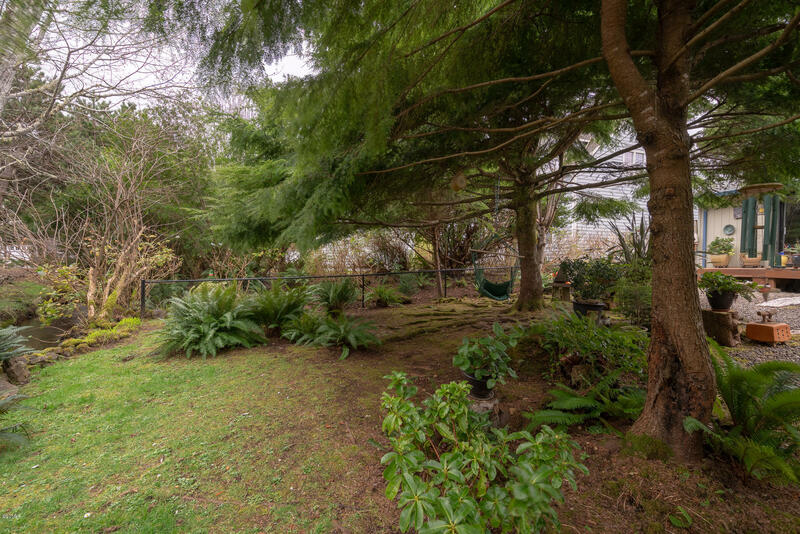 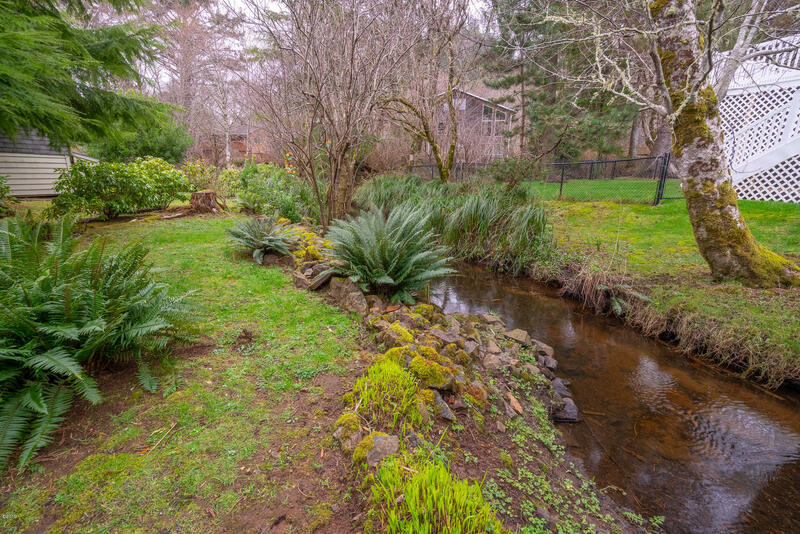 Beautifully landscaped Garden like yard with lots of foliage and a creek. 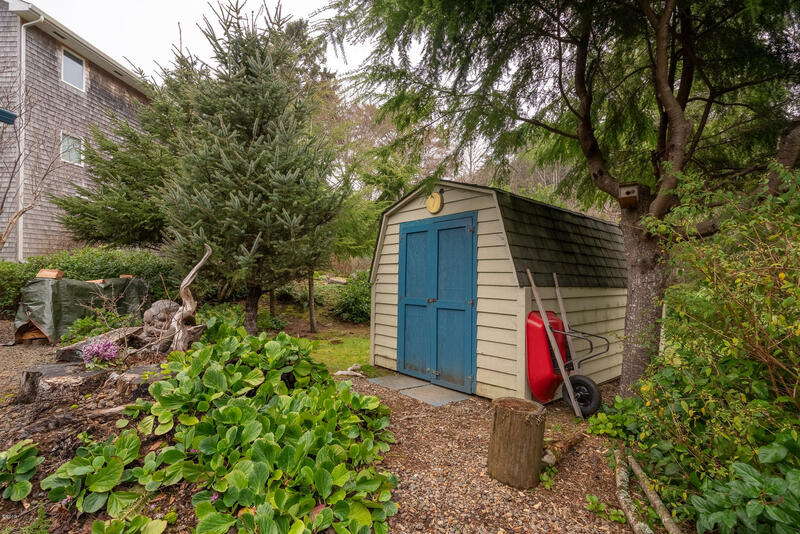 There are also two woodsheds and a recycling shed. 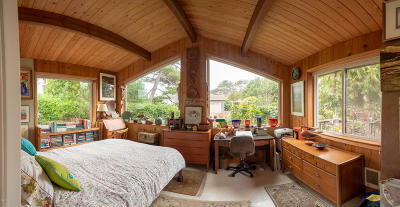 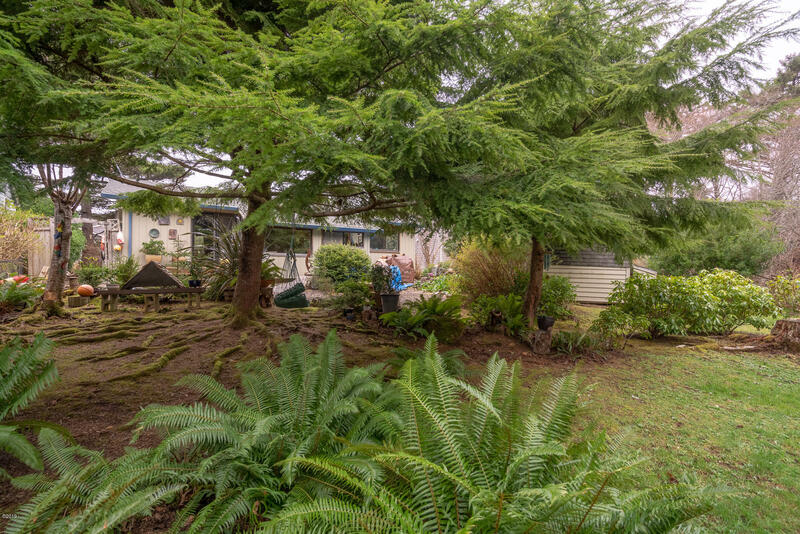 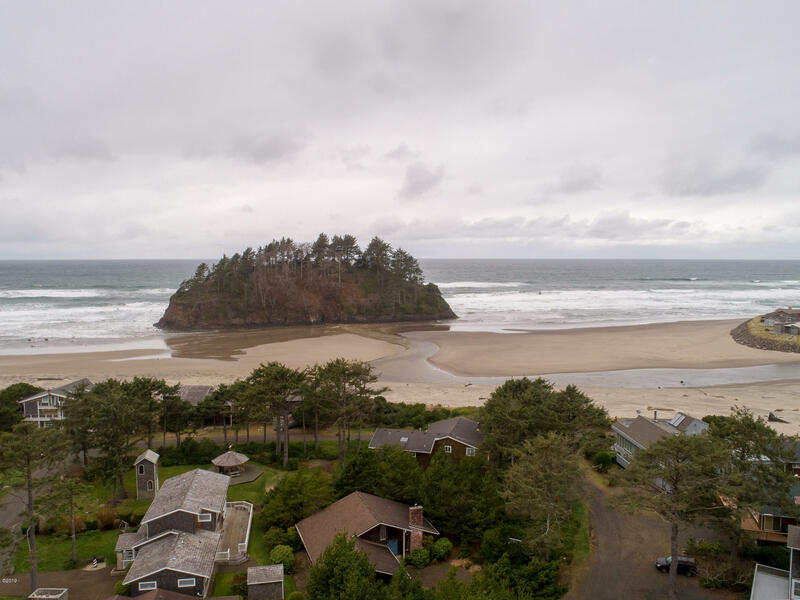 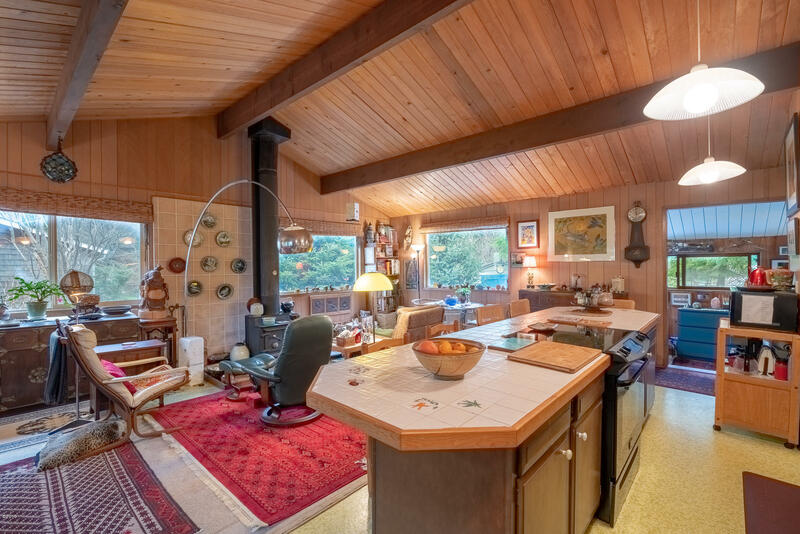 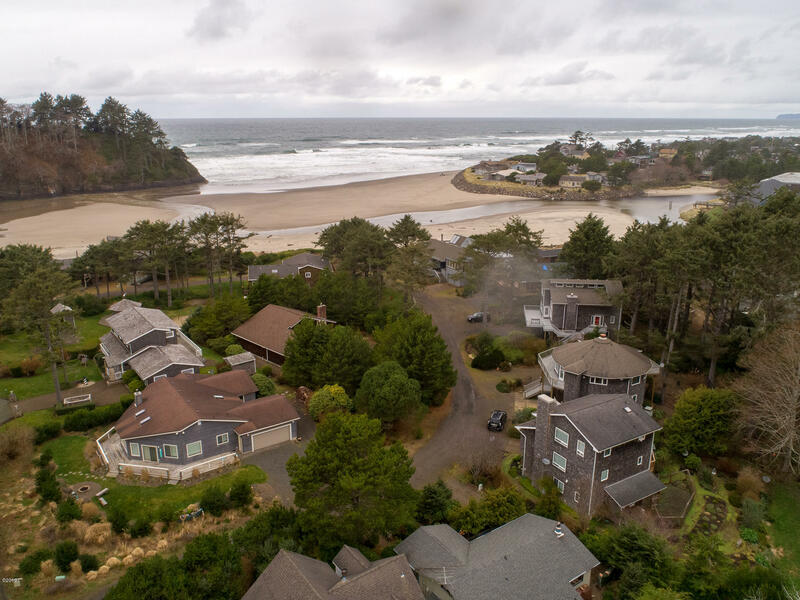 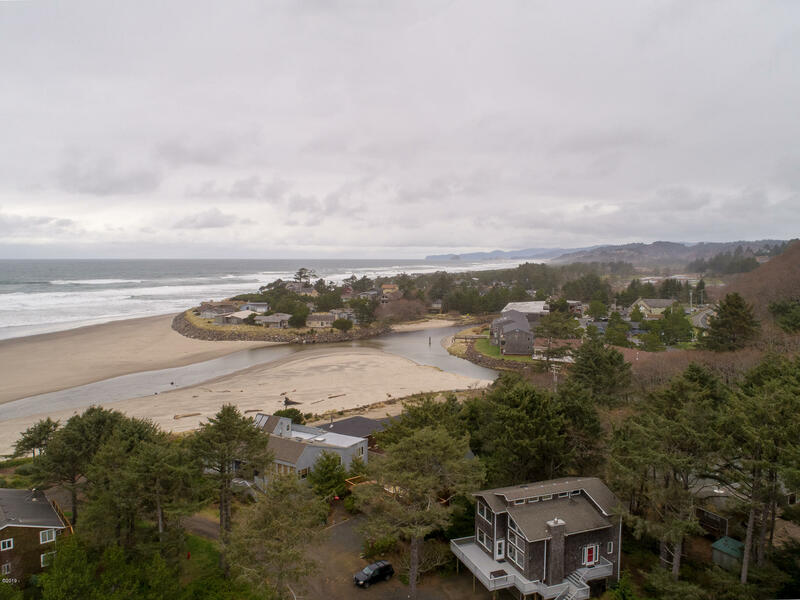 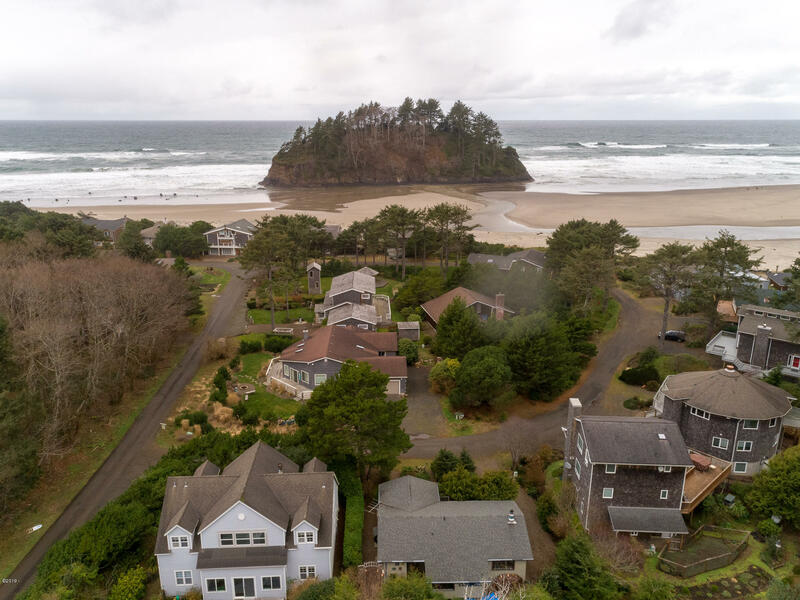 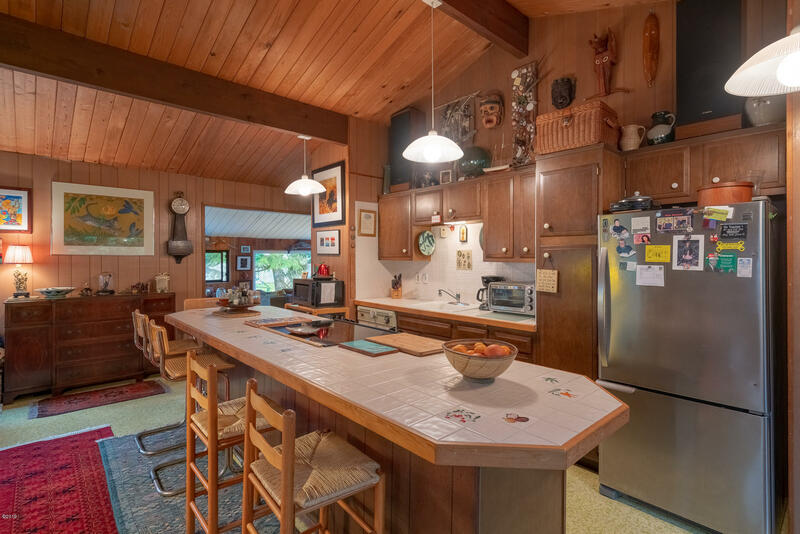 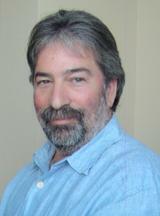 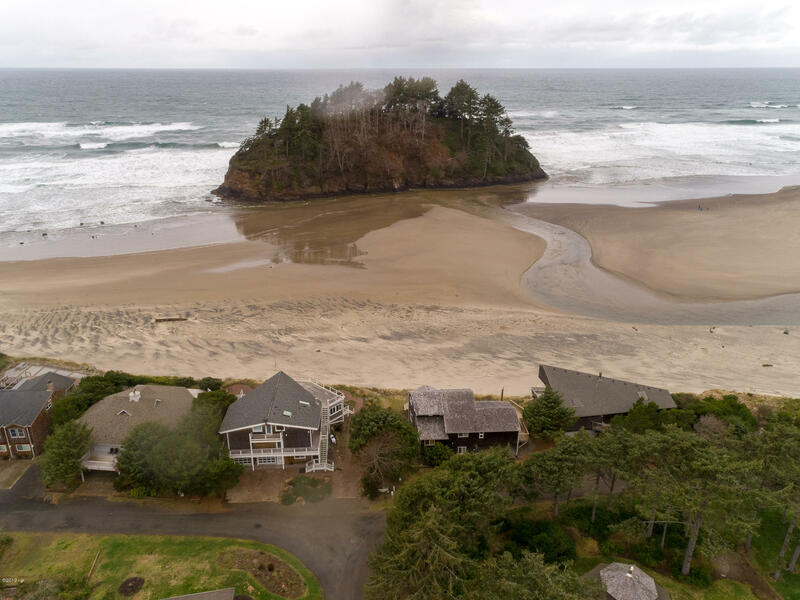 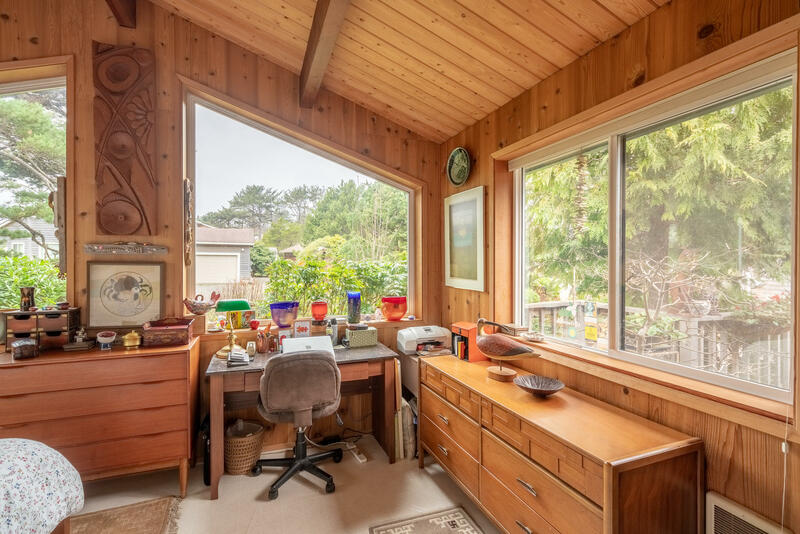 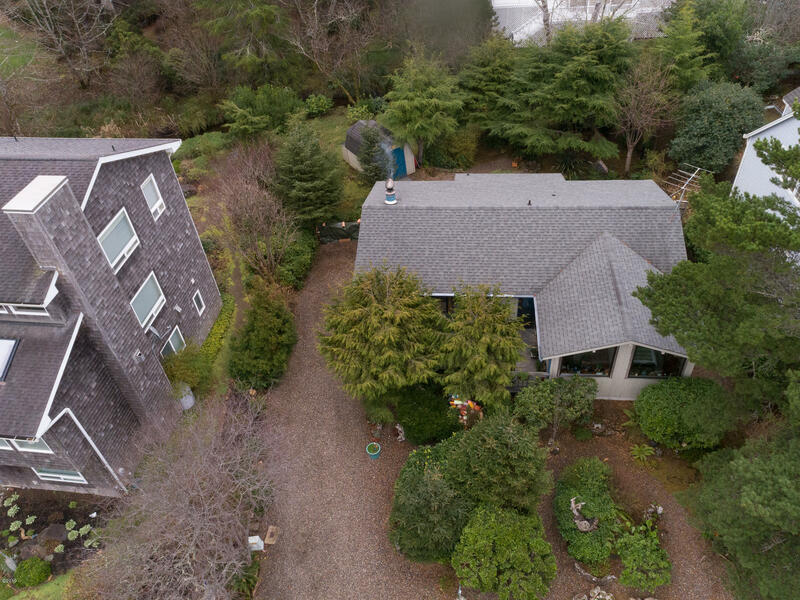 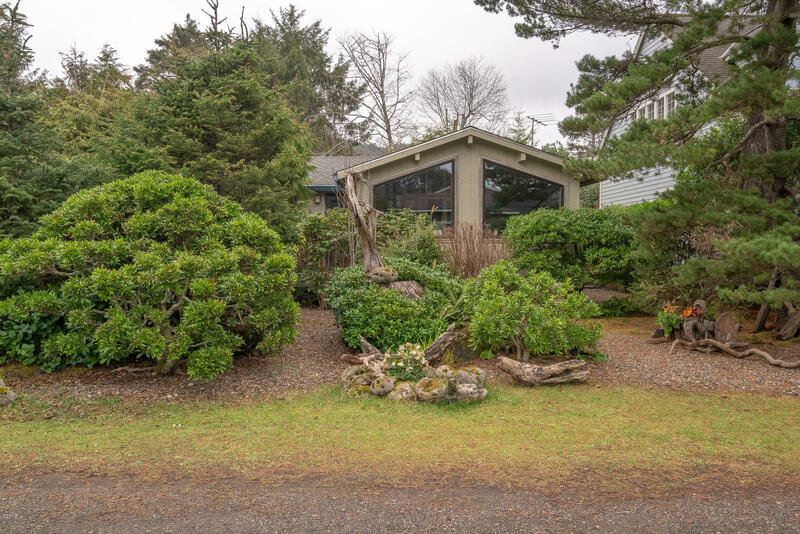 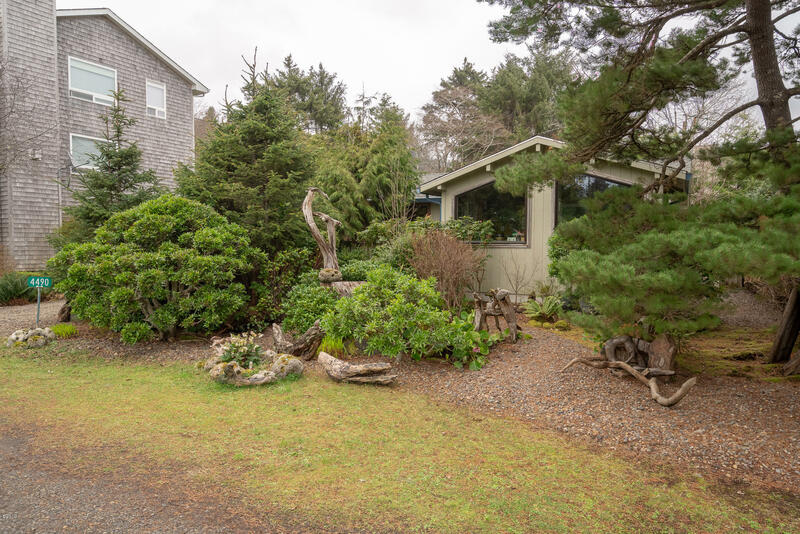 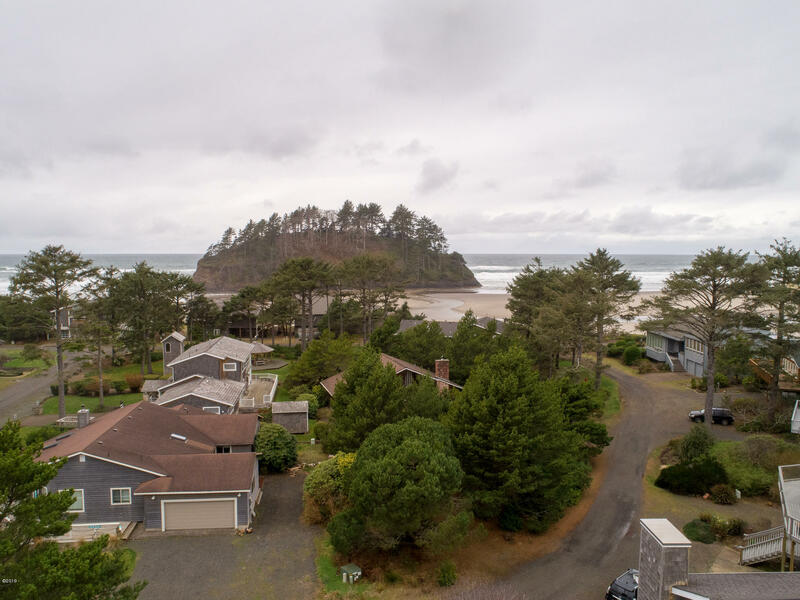 Located in the desirable gated community of Proposal Rock with nearby BEACH ACCESS!